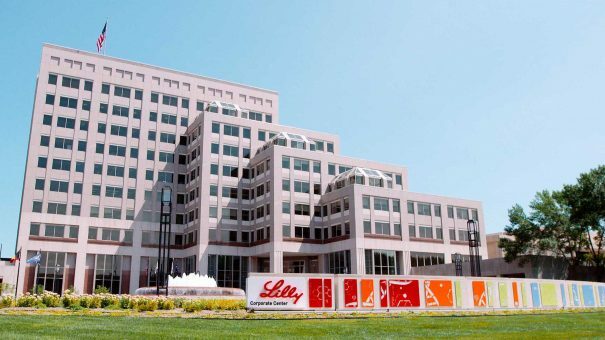 Eli Lilly has two positive trials of its JAK inhibitor Olumiant in skin disorder atopic dermatitis (AD), which could finally unlock the drug’s potential in the US. Top-line data from the two studies of Olumiant (baricitinib) as a monotherapy in AD – BREEZE-AD1 and BREEZE-AD2 – show that the drug hit the main objective of achieving a significant improvement in skin clearance compared to placebo after 16 weeks in adult patients. Lilly and Incyte have five baricitinib trials ongoing in AD, with a third due to read out before the end of the first half and the other two before the end of the year. Once the data is in the two companies intend to press ahead with regulatory filings in the US, Europe and other world markets. Olumiant is approved to treat moderately to severely active rheumatoid arthritis (RA) in around 50 markets, but its competitiveness has been held back somewhat in the US by the FDA’s decision only to give the green light to a lower dose of the drug last year, after rejecting it outright in 2017. That decision was taken because of concerns about safety at higher doses, specifically with regard to clotting and cardiovascular side effects, although there were no such dosing restrictions in other markets. Lilly and Incyte said there was no evidence of more venous thromboembolic events (VTEs), major adverse cardiovascular events (MACE), or deaths for baricitinib over placebo in its AD trials so far. Pfizer’s Xeljanz (tofacitinib) was the first JAK inhibitor to reach the US market and has been growing at a healthy lick since in its approved indications of RA and psoriatic arthritis. Sales reached $1.77bn last year worldwide, of which almost $1.4bn was from the US market. Olumiant has also been growing but is a long way behind, with Lilly saying its sales of the drug were $133m in the first nine months of 2018. Approval in AD would allow the drug to build momentum in an indication – estimated to be worth around $1 billion a year – where Xeljanz isn’t yet present, although Pfizer has an AD programme on the go as do other JAK inhibitor companies. A topical formulation of tofacitinib reached the phase 2 testing stage but no longer appears in Pfizer’s pipeline, seemingly replaced by PF-04965842, another JAK inhibitor in a topical formulation that has been awarded breakthrough status from the FDA. That is currently in phase 3 testing. Additional competition to Xeljanz and Olumiant could be coming soon from other JAK inhibitors including Gilead Sciences’ filgotinib and AbbVie’s upadacitinib. These are being developed for RA in the first instance, both hitting the mark in phase 3 trials reported last year, but are also potential threats in AD. Upadacitinib is however already in a phase 3 trial in AD, also picking up a breakthrough designation from the FDA for this indication, although for now Gilead seems to be targeting filgotinib at other inflammatory indications such as Crohn’s disease and ulcerative colitis. Meanwhile, other new therapies outside the JAK inhibitor class are also making waves in the AD market, notably Sanofi’s injectable antibody Dupixent (dupilumab) and Pfizer’s topical PDE-4 inhibitor Eucrisa (crisaborole). Analysts think however that the pent-up demand for effective therapies after years of stagnation in new development means there will be plenty of room for multiple options.